Desmond Muirhead 2000 18 74 7777 40 minutes from downtown. St. Andrews 2000 is located in picturesque hilly countryside just over half and hour’s drive from the famous seaside resort town of Pattaya. 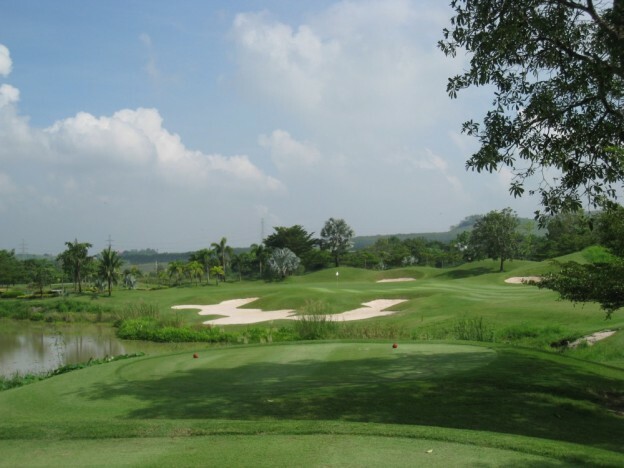 The sprawling par 74 course adjoins its sister layout, the older, well established par 72 layout of the Rayong Green Valley Country Club. The course includes two endlessly long par 6. The two monster holes in question are the 4th and 13th, which weigh in at 855 and 857 yards respectively. Moirhead, the English born course designer, has created a visually stunning layout that must rank among the best courses in Thailand. St. Andrews 2000, an uncompromisingly tough golf course that will test even the best of golfers to their limits.